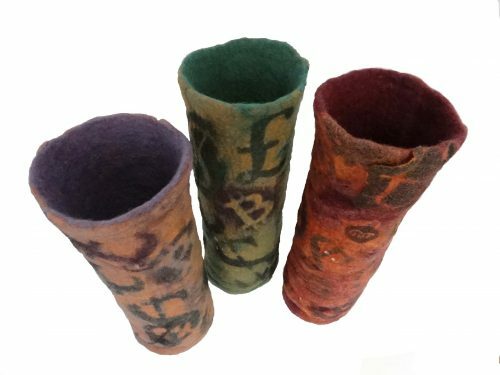 Felt vessel shapes made using a resist and multiple layers. Wet felted several times to integrate printed sections using acrylic paint. Moira West, constructs and designs sculptural forms, vessels and wall art, producing striking contemporary textile art.